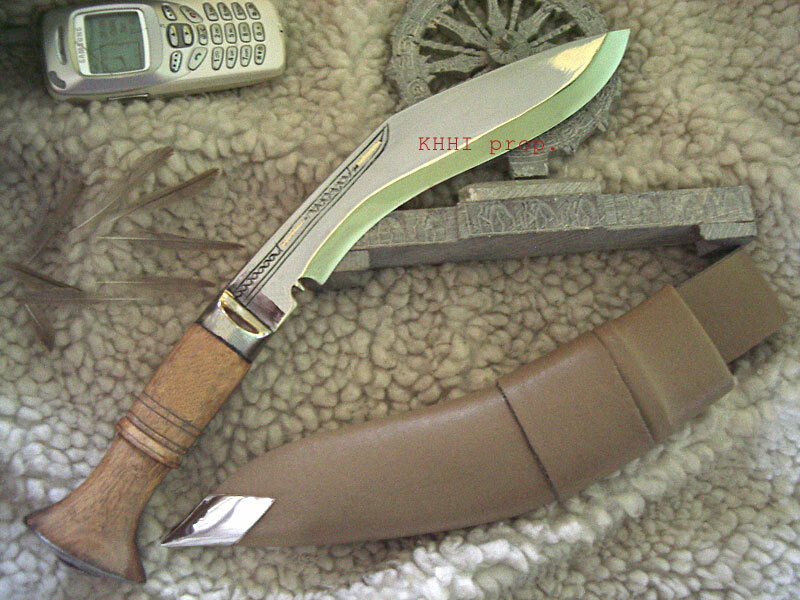 This distinct 7 inch new kukri fills in the vacancy for those who seek for 2 in 1; play n display..
Khukuri House Handicraft Industry (KHHI) introduces yet another outstanding khukuri in its amazing product line. 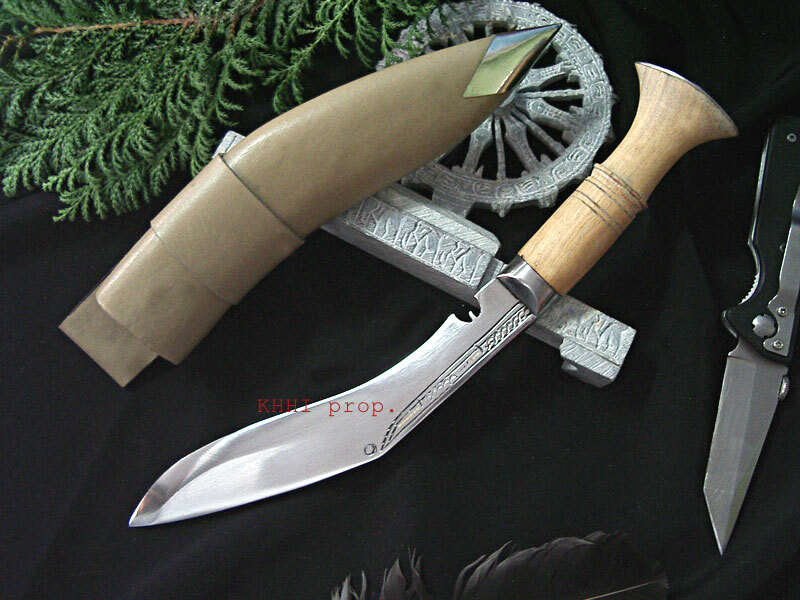 This distinct 7 inches long (very rare size) new kukri fills in the vacancy for those who seek for 2 in 1 extra featured kukri; play and display - ideally suited for those who want to use and display at the same time. As well because of its extra light weight and extreme mobility, it is highly recommended for trekking, camping, fishing, hiking and all sorts of wood and wild stuffs. It comes equally handy for domestic and household purpose too. The best part is you can wear it, use it, swing it and at the same time you can put it in the shelf to display or to adorn your room’s interior. Working and showing both goes equally well and side by side in this special kukri. 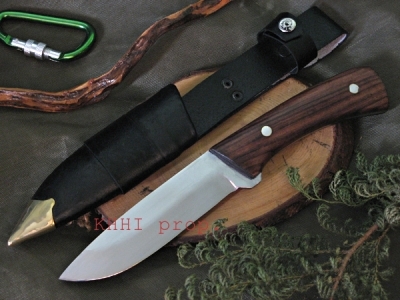 The basic two small knives that normally come along are discarded to make the knife as light as possible. 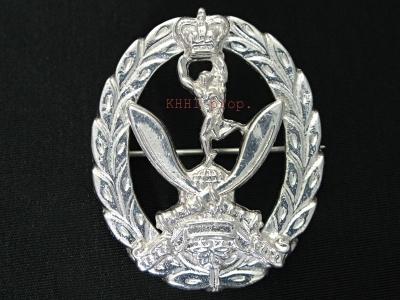 A distinctly whitish overall look is given to the kukri to stand out from the crowd. The special cream colored scabbard protects the highly polished blade from scratches and bruises while in action (drawing in and out). Size of blade: 7 inch approx.